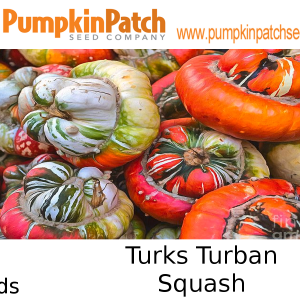 Turban squash can range in color from mottled green, orange to yellow in color, often displaying all of these colors on a single squash. At its blossom end is a turban-like cap, thus its name. 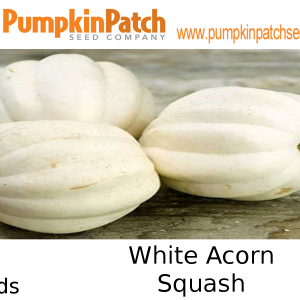 This ornamental and edible variety can measure ten to fifteen inches in diameter and is heavy for its size. Wrapped in a thin but hard shell, the fine-textured orange flesh can vary from mild to sweet depending upon variety. When cooked the flesh has a floury texture that lends itself well to soups and stews. Sweet, single-serving size. Small, 4″ diameter, teacup-shaped fruits average 3/4 – 1 lb. Very sweet, tender white flesh. Suitable for stuffing. Medium length vines. Avg. yield: 8-10 fruits/plant.